It’s Easter month, and you know what that means…bunnies! This particular bunny isn’t Easter-ish – which means little Rosie can do her job all year round! But ain’t she sweet? 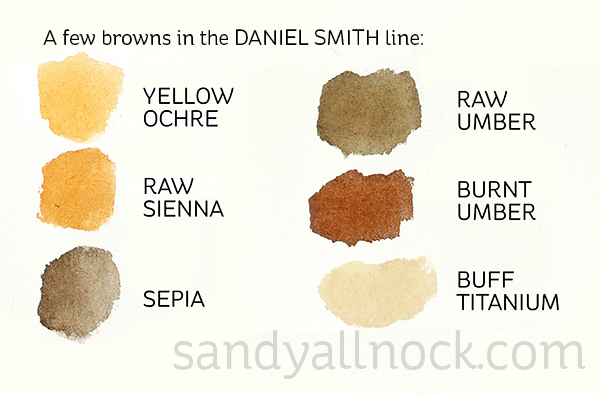 Some of you have been asking me to show my collection of browns in the Daniel Smith watercolors, since you’ve discovered mixing them is a bit challenging. If you use browns a lot, ie for animals – buying tubes might help save some mixing efforts! Watch the video below or click HERE to see it in HD on YouTube. 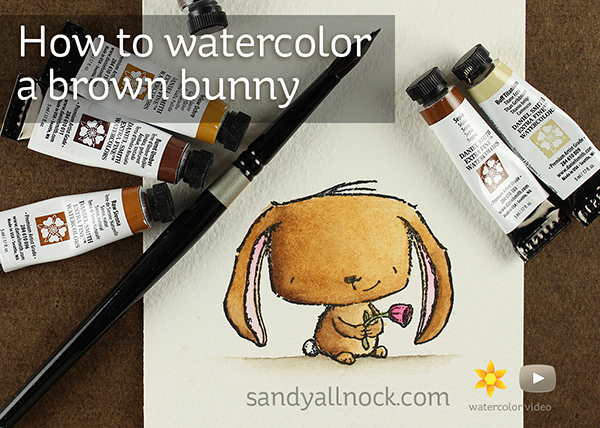 This lil bunny isn’t new….but she’s sooooo easy to color in whatever medium you like to use. And as requested – the brown colors I have! Minus the Quinacridones, though, since those don’t granulate at all. For animals I think granulation helps add texture! Thanks so much for this great tutorial. How did you get the initial black and white line drawing onto the watercolor paper before you started painting? Cute bunny with his long floppy ears and love your coloring. Thanks for sharing. Thank you. I always look for and enjoy your tutorials. And have learned a lot. I hope you continue to share. Boy, it is wonderful to see what can be done using high quality papers and inks. Thanks for sharing your techniques with all of us. Oh my! Thank you SO MUCH for this tutorial Sandy! I’ve been looking for tutorials for watercoloring little critters – especially the POD Stacey Yacula Critters! Your the best! Please do more of watercoloring critters – grey bunnies & also owls too please!! Especially the Purple Onion Stamps would be awesome!! Wow, that is awesome! Really want to give it a try right a way…don’t have all the colours and will need to figure out how to mix them first. Thank you! He’s so sweet I just wanna squeeze his little square head! So cute. For me browns are a staple and worth getting a few tubes to avoid tricky mixing! Just beautiful Sandy. A great video tutorial. Great video. 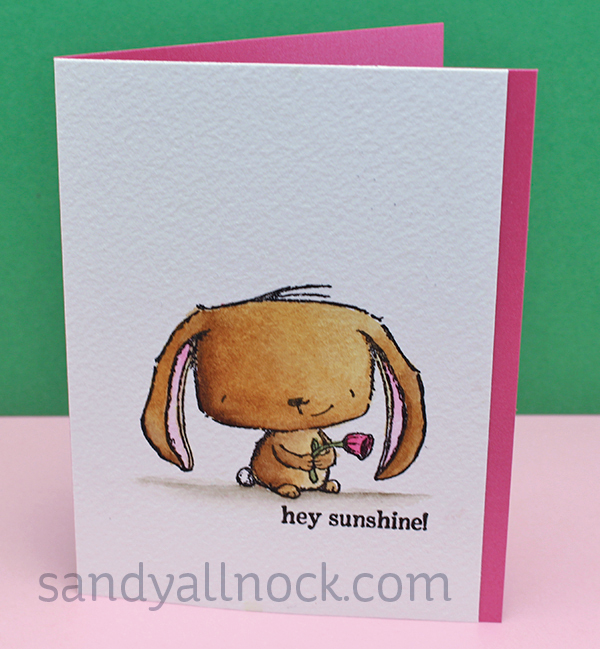 Such a cute bunny and card. Nothing better than a chocolate bunny this time of year! Thanks Sandy.